Side-by-side comparison of features, specs, prices, photos, ratings and more. Year after year, the Toyota Camry has been America's bestselling car, earning it a reputation for being both reliable and a good value. 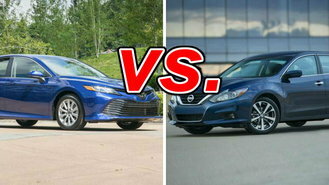 However, there's growing competition from other midsize family sedans like the Nissan Altima. And with almost every automaker setting its sights on overcoming Camry sales, it's quite possible that a better car exists for the money. 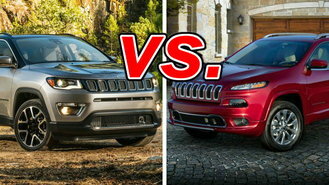 Years ago, buyers had three Jeeps to choose from: Wrangler, Cherokee, and Grand Cherokee. But with competition in the crossover and SUV realms growing, Jeep had to grow. And grow it has. Sure, it still has the Cherokee, but it also has smaller crossovers, like the Compass. BMW's long-running compact crossover, the X3 has been treated to a full redesign, featuring updated styling and a boost to performance. 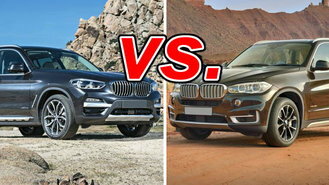 As good as that sounds, some buyers might be more satisfied with the brand's larger X5, which has been on the market in current form since 2014. The current Ford F-150 debuted two years ago with an all-aluminum body, updated technology, and enhanced pulling power. This year the F-250 Super Duty receives the same treatment, bringing it up to date with its regular-duty sibling. 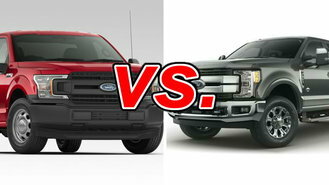 Now that both trucks are at the top of their game, the difference between them comes down to brute capability.